Successful businesses can start out as side hustles. So, don’t worry if you can’t (yet) quit your day job to devote all your time, energy, and effort into starting an online business. In fact, there are a number of online business ideas you can start and grow in your free time. 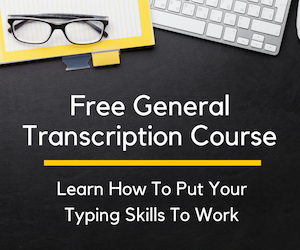 This gives you the chance to keep the security (and steady pay) of your day job while hustling your way to success. If you don’t think you have the business mindset to launch something from scratch and build it into something great, think again! Becoming an Amazon FBA seller is a beginner-friendly online business idea that allows you to start small and grow into something big — all in your spare time and with no prior experience! To immediately jump in, sign up for this FREE Amazon FBA intro course brought to you by The Selling Family. You’ll learn what it takes to be a successful seller and whether it’s the right hustle for you. Amazon is the world’s largest online retailer. And, with their popular Prime program, consumers get two-day shipping on many items. That’s why shoppers flock to Amazon for everything from grocery items and baby products to electronics and home decor. Seriously, you can find and buy just about anything on Amazon (and get it delivered to your front door in a matter of days!). This means there’s also a ton of opportunity to make good money as a seller on Amazon. Where else can you get your stuff for sale in front of millions of buyers? If you’re sitting there thinking, “But I don’t know anything about e-commerce or setting up an online shop” — don’t worry. You don’t need to know anything. With the Amazon FBA program, total beginners can have tremendous success. FBA stands for Fulfillment by Amazon. It’s a program that allows everyday sellers, like you and me, to send in our stuff to sell on Amazon. Amazon handles all the rest — housing, shipping, payments, customer service, returns, etc. All you have to do is find items to sell and ship them off to Amazon. Then you can sit back and watch your seller’s account grow and grow and grow. What is retail arbitrage, you ask? In a nutshell, retail arbitrage is taking advantage of price differences between products at your local stores and those same products being sold on Amazon. You use this price difference to your advantage by buying them for cheap and selling them for a profit on Amazon. This means on the weekends (or days you have off) you can head to your local stores and scour the aisles for profitable clearance and sale items. I’ll be the first to admit, this can be tedious. You’ll need to go through items to figure out which are worth purchasing and selling for profit. But, it can also be a lot of fun — it’s like a clearance treasure hunt, you just never know what you’ll find. And the more experience you gain, the more you’ll develop a sixth-sense for finding those products that pull in a profit. In the meantime, you’ll need a little help to determine which items will turn a profit. But, perhaps I’m getting a little ahead of myself. First things first, you need to sign up for a Seller’s Account on Amazon. There’s two Amazon seller account options: Professional or Individual. The Professional option costs $39.99/month. You can sign up for a free month to get a feel for it before paying — you can cancel at any time. There’s also an Individual Account option. There’s no monthly subscription with an Individual Account. However, you’ll be charged an additional $0.99 for each item that sells. As a newbie, which account do you choose: Professional or Individual? It’s a tough call, for sure. But, if you think about it practically, you can easily select the right option for you. Since the Individual Account charges an additional $0.99 for each item sold and the Professional Account costs $39.99/month, it makes sense to opt for the Pro Account if you plan on selling more than 40 items in a month. As soon as you sell your 41st item in a month, you’ll be saving money with the Professional Account versus the Individual Account. It’s also worth mentioning, the Professional Account comes with added features like analytics, inventory management, and multiple listing creation. Right out the gate, you might not sell 40 items in a month. That means you’d benefit from the Individual Account. Or, better yet, sign up for the free 30-day Professional Account trial. Remember, you can downgrade to an Individual Account at any time! Now that you’re up and running as an Amazon Seller, you’re gonna need a little help figuring out what’s worth reselling and, more importantly, what’s not. Thankfully, you have all the answers you need right at your fingertips when you download the Amazon Seller App. Note: This requires having a smartphone. There’s just no other way around it. Without the Amazon Seller App, you won’t be able to scan products as you find them. This means you won’t be able to determine whether or not they’re worth selling. And you don’t just want to blindly buy items in the hope they’ll sell — you’ll lose a lot of money this way. If you don’t have a smartphone, get one. It’s the only way to go if you want to actually make money as an Amazon Arbitrage Seller. There are several product scanning apps out there. But the most basic and beginner-friendly is definitely the official Amazon Seller app. It’s free to download and is available for iOS and Android devices. You’re an official Amazon Seller and you’ve got the free Seller App downloaded — now, the fun begins: Scouting. Your main objective when scouting (scanning items) is to find the most profitable items as quickly as possible. And, honestly, this isn’t always an easy feat! The easiest way to find products, as a beginner, is to pick a few categories you’re interested in and start there. If you know toys like the back of your hand or take many walks down sporting good aisles, these are good places to start. Plus, it seems like a much less daunting task to tackle a few sections of a store instead of the entire retail space all at once! If you just read through that list and thought — What’s left? I get it. That was my first reaction, too. Once you gain experience, you can expand into the approval-required categories — but when starting out, go for the unrestricted categories to get up and running (and earning!) quickly. Once you know which categories you’d like to sell in, make a list of stores in your area that sell these items. These are the places you’ll want to visit when scouting. You can scout after work, on weekends, during lunch break — really, any time you’re free during store hours is a great time to go. Scouting is when you visit retail stores and physically scan product barcodes using your Amazon Seller App. This is the most time consuming part of being an Amazon FBA seller. In fact, many a well-intentioned seller gets defeated by this process. Why? It can get too overwhelming and cause sellers to quickly burnout. Remember, go into each scouting trip with a positive mindset and stick to your game plan! Do not buy products just for the sake of buying products. And know that, on some scouting trips, you may not find as many items as you’d like. And that’s okay. It’s better to spend your money on items that will turn a profit instead of spending just for the sake of buying something. When is a Product Worth It? Good question! Advanced sellers can have somewhat complicated systems for qualifying products. But, remember, you’re a beginner. The whole point of being an Amazon Arbitrage Seller is to make money in your free time. So, we’re gonna keep it as simple as possible. In the spirit of earning money, you’ll always want to make sure an item has the potential to earn a profit. A good rule of thumb to follow is the three-times rule. When following the three-times rule, you’ll only want to buy an item that is selling on Amazon for at least three-times what you’ll pay for it. (The Amazon Seller app will tell you what a product is selling for once you scan it). So, if an item you’re scanning is priced at $10.00, you’ll want to make sure it’s selling for at least $30.00 on Amazon. Generally speaking, the three-times rule allows for enough room to make money when you factor in Amazon fees. Let’s face it, there’s a lot of competition as an Amazon FBA seller. And, for good reason: There’s not too many places that give you the chance to earn thousands extra each month in your free time. But that doesn’t mean there isn’t room for you to make money too — you just have to factor competition into your buying strategy. Even if an item is priced right and is selling well on Amazon, you may want to steer clear of it if there’s a lot of other sellers selling that exact item. When there’s too much competition, you’ll end up lowering your price and then lowering it some more just to get it sold. As a beginner, you’ll be eager to make sales so you can use that money to buy more inventory. And, as your inventory grows you can really start to see your income increase month over month. But if you’re trying to sell a lot of high-competition items, you will end up selling an item lower than you should — and this is not the best way to build a successful Amazon Arbitrage business! You’ve gone through your stores and found some products to sell for profit — that’s great! Now you’ve got to list them. Seasoned sellers use a number of different programs and tools to make the listing process more efficient. But, as a beginner, all you need to do is log into your seller’s account, go to Seller Central > Inventory > Add a Product. To maximize your sales, you’ll need to make sure your listings are priced competitively. But you’ll also need to make sure they’re complete and optimized. Fortunately, Amazon will let you know if some of your listings are lacking. Simply go to Seller Central > Manage Inventory to see what, if anything, needs your attention. If you see any quality alerts, simply click the “fix” link and make the needed adjustments! 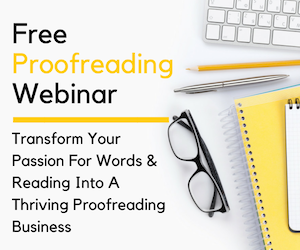 This will go a long way in improving your sales. Part of listing your products will include labeling. Each of your entered products will receive a unique label that you will need to print out and place on the corresponding product. This is how Amazon will identify your products and how you will manage your inventory! Once everything is labeled, it’s time to pack them up and send them to Amazon! Amazon will tell you where to send your items. And this may mean you’ll have to send out multiple packages even though all your items could fit into one box. Yep. Amazon has warehouses and fulfillment stations spread out all over the place. Your items will be split up and housed in any number/combination of these warehouses. Let’s say you have 20 items labeled and ready to go. Amazon might tell you to send items 1-5 to Warehouse A, items 6-9 to Warehouse B, and items 10-20 to Warehouse C. Really, it all depends on their need and the items you’re sending in. The good news is, you can take advantage of Amazon’s partner discounts when paying for shipping. Doing so will help you save on your shipping costs which can cut into your profits if not monitored! Once your items make their way to their respective warehouses where they’ll be housed until sold, they will be unpacked and added to your seller’s inventory. And this is when you get to see the efforts of your work start to pay off. Now when you log in to your seller’s account, you’ll see your actual items that are for sale in the world’s largest online store — pretty neat, huh? What’s even better is when your first sale comes in! Cha-ching. So, how do you keep track of your sales? Sign into Seller Central and go to Reports > Payments. You will start to see the FBA sales and corresponding fees. In the Statement View, you’ll see the balance owed to you and on what date it’ll be deposited into your account. Amazon issues payments once every 14 days. This, of course, is the most gratifying part where you get to see your efforts really pay off in the form of cash. You’re not going to know everything as a brand new FBA seller. And that’s to be expected. As long as you’re willing to learn, you’ll be fine. Don’t forget to take advantage of these helpful tools that will make life so much easier as an FBA seller. You know there’s going to be fees involved with FBA. And it would be impossible for me to try to tell you what each fee for each item could be. Fortunately, Amazon has a handy calculator you can easily use to figure out fees. The Fulfillment by Amazon Revenue Calculator factors in your purchase price, the selling price to customers and the fees associated with the sale. This leaves you with a final number that is your projected profit. If you’re ever feeling stuck, head on over to the Seller Central Forums. There’s entire sections devoted to all things FBA including general questions, shipping inventory, and customer service. These forums are very active and filled with sellers who were once in your shoes — browse through the topics or ask a question if you’re unsure about something. Amazon wants you to succeed. After all, the more you sell and earn, the more they make, too. To help new sellers find Amazon FBA success, Amazon has created video tutorials. These tutorials specifically address common FBA questions new sellers might have. Being an Amazon FBA Arbitrage seller allows you to work in your spare time and grow, what can be, a very profitable side business. Many sellers start out as arbitrage sellers before they turn to private labeling — and this is where the REAL money comes in. But you’ve got to start somewhere, and FBA arbitrage is the easiest place to begin. To give yourself a leg up on your competition, sign up for this FREE Amazon FBA intro course. You’ll learn what it’s like to be an FBA seller and whether it’s the right hustle for you. Have a question? Leave it in the comments below! 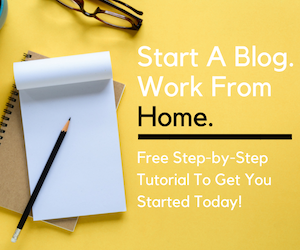 You can also reach me at ashlee@workfromhomehappiness.com Don’t forget to like Work from Home Happiness on Facebook for daily job leads and other online business ideas perfect for beginners! This post may contain affiliate links. Please see my disclosure statement for more information. Thank for such an informative article. I enjoyed reading it. Habe you had any success with this yourself? Is the Udemy course not free anymore like stated in your post? It shows that a payment of $20 is required. Great article! Can you please talk about how this labeling is done? Thanks, L.
Thank you. This is an ‘eye opener’. I will definitely give this go. found your article very helpful. Thank you and God Bless! Thanks for the great article, yours has been the most helpful one I’ve seen! When you find a product you want to buy and resell, how many do you typically buy? I’m just not sure if it is reasonable to only buy a few or if you should be buying an abundance of one item? Be aware that Amazon makes it extremely difficult to start selling. Almost everything is restricted and getting permission to list a restricted item is almost impossible. It’s my understanding that you stand no chance at all if you don’t pay the monthly fee of $39.99. Amazon is extremely difficult and I got tired of the thousands of hoops I had to jump through to list anything and still got no where. I’d complete one requirement but there was always something else I had to do or some other reason I couldn’t list the item. I gave up. Thanks for the detailed article. thank you for the informed article. what are Amazon’s shipping standards when shipping to them? Do you have to use approved boxes, etc? 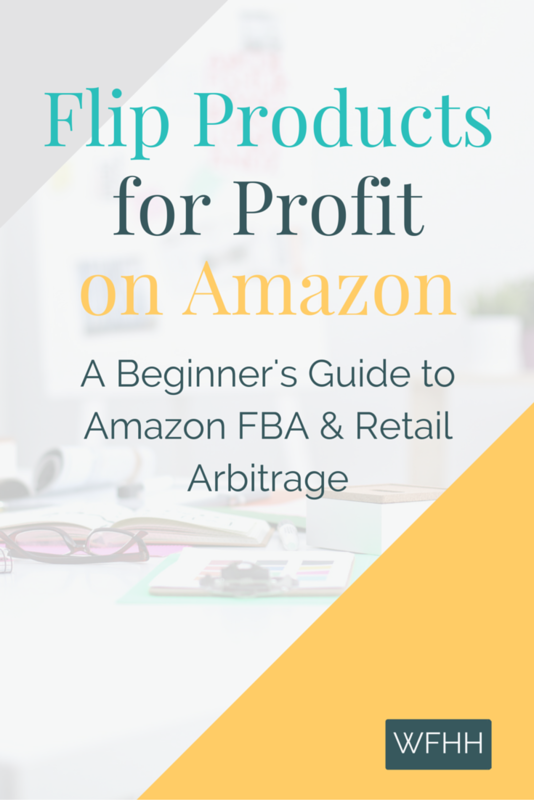 I have to admit that I love the idea of Amazon FBA arbitrage for those who are just beginning. This is a fantastic idea and it really doesn’t require much of an upfront investment. I also like the idea that you get to touch the items and know what kind of quality they are. Anyone who has bought from Alibaba knows the unknown can easily make a seller leery in the very beginning. If you live in a big city, then there are all kinds of sources to buy products. It really is a treasure hunt like Ashlee said. But, I don’t think this is something that should deter people from selling. In fact, it may make it much more fun for those of you who have an adventurous side. I personally love to look around in stores that I’ve never been in before. Small locally owned stores are also great because it gives you a chance to get to know the owners. You may want to pay attention to their social media accounts to see if they’re offering up any sort of deals. This can save you the hassle of having to go to their store frequently. Also, you can build up a relationship with the owner and management. You can always have them call you and let you know if they have some sort of deal that you may find interesting. I really think you hit it out of the ballpark with this article. I didn’t go this route when first selling on Amazon. I can see how this is a very lucrative way for people to begin. I would add that it is also possible to sell these items on eBay if there isn’t enough quantity to justify putting them on Amazon. Five of something isn’t going to be enough to make selling on Amazon worthwhile. But, it might be the right amount to sell on eBay. As everyone knows, you’ve got to go out of your way sometimes to make a buck. Arbitrage like this is a fun and exciting way to learn how to sell on Amazon. You get to meet new people, discover new stores, and make a few bucks in the process. This is a must read article for anyone who’s getting their feet wet and beginning to sell on Amazon. Thank you for sharing this information. I’m sure quite a few people have found it useful. I’ll pass it along to all of the people I know who are thinking about selling on Amazon, but are a little uneasy with starting out buying products from Alibaba sellers.